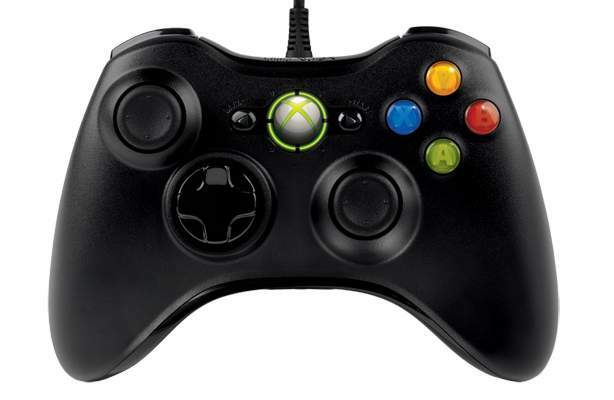 For gamers like you who prefer using an Xbox controller than a keyboard or mouse to plays the game, it is very convenient that many PC games allow you to play games via Xbox controller with an available USB port, regardless of the version of your Windows OS. You can play games using your Xbox controller on Windows 10, 8.1, 8 or 7. If your controller is suddenly not working as it used to be, or should be, you may want to consider getting the problem solved by yourself. There are unknown causes to this problem, so there are many solutions to it. You need to try them one by one until you spot the correct one for your situation. Note: Please make sure that your Xbox 360 controller is not plugged in. 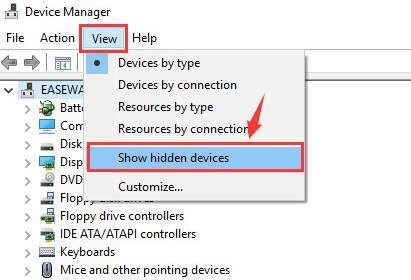 3) On the top bar, choose View option, then select Show hidden devices. 4) Then check to see where could your Xbox 360 driver be. In most of the case, it is under Universal Serial Bus controllers category. And some users see if listed under Xbox 360 Peripherals category. You need to check to see where you can find it at the exact spot. 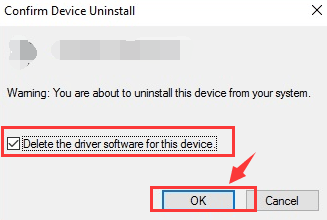 5) Once you have decided which device driver is the correct one for your Xbox 360 controller, right click it and choose Uninstall. 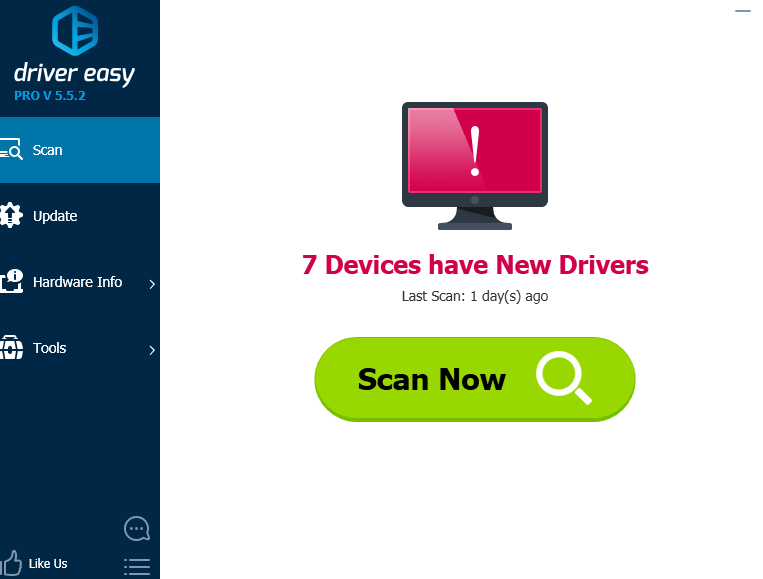 Tick the box for Delete the driver software for this device. Then hit OK to continue. 6) Restart your computer after this. After the restart, plug in your device, Windows will help you install the latest version of the Xbox 360 controller that it could find. But there is no guarantee that it will find the latest version of the driver for you. Windows only provide driver for Xbox 360 on builds earlier than Windows 7. 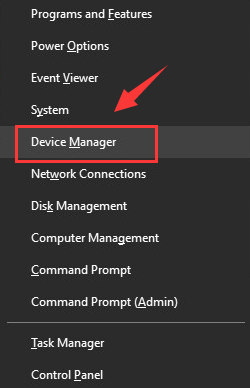 So if you are using Windows 10 (which is what most of you are using now), Windows 8.1 or 8, you will find the driver provided by Windows not helpful enough. 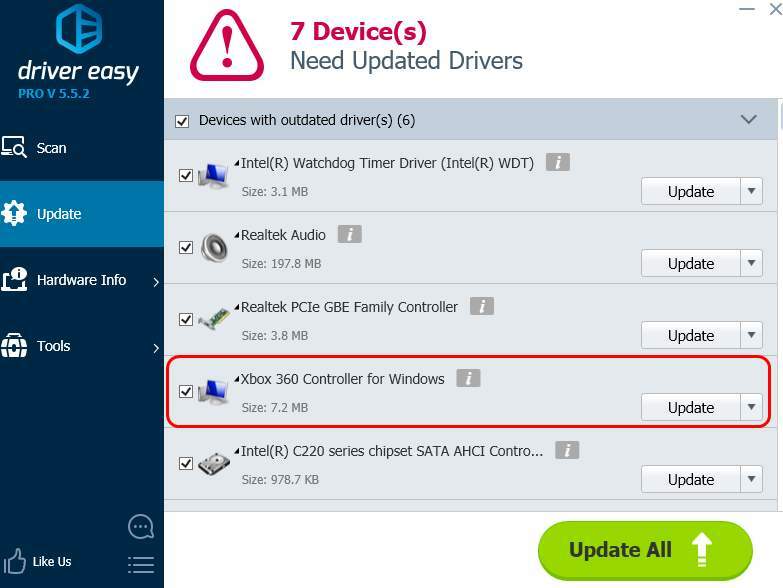 If you don’t have the time, patience or computer skills to update the Xbox 360 driver manually, you can do it automatically with Driver Easy. 3) Click the Update button next to the Xbox controller driver to automatically download and install the correct version of this driver (you can do this with the FREE version). How to reinstall Windows 10?